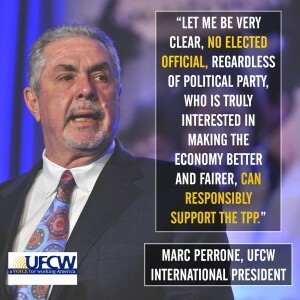 ” For weeks, UFCW members have been ramping up the fight against fast track and the Trans Pacific Partnership (TPP). Today, this unfair trade deal, which will hurt hard-working men and women and our economy if passed, faces a cliffhanger vote in the Senate. Fast track is too close to call. You can make a difference by calling your Senator today to tell them to VOTE ‘NO’ on fast track. 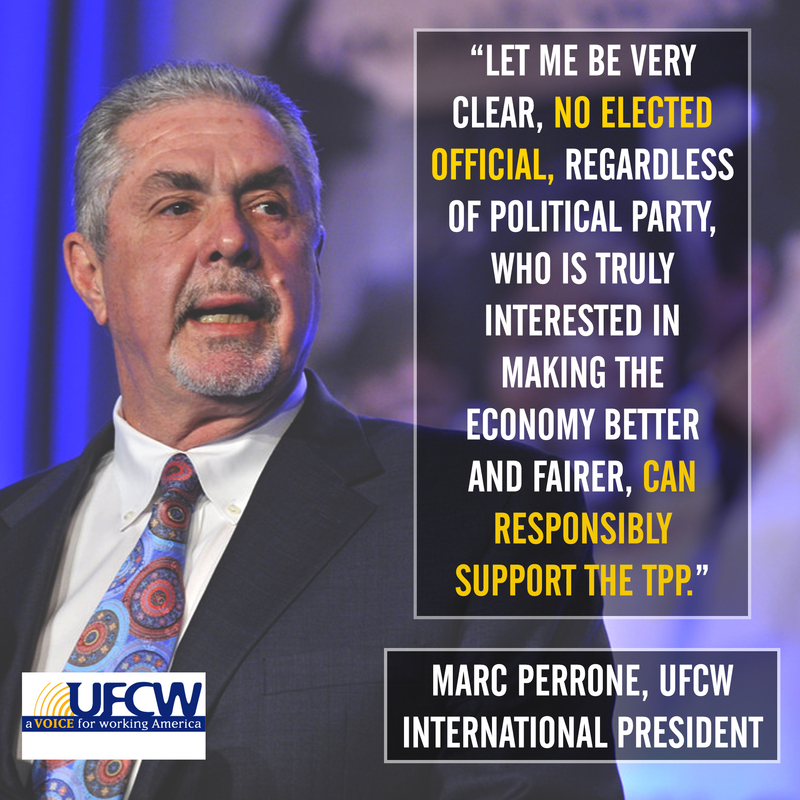 Without any provisions that help workers or that enforce labor protections, fast tracking the TPP would be a disaster. President Obama and the Republican and Democratic Members of Congress who want to pass this trade deal are choosing to ignore the brutal reality that hard-working families pay the price for unfair trade. However, you can help sway Senators who are on the fence. Call them now and tell them to VOTE NO on fast track. “All across this country, hard-working Americans from every political stripe have sent a message loud and clear—no more trade deals that destroy American jobs and families. The failure of the Senate to advance fast track legislation is not only a stinging defeat for supporters of the Trans-Pacific Partnership (TPP); it makes clear that the American people will not be fooled into supporting another bad trade deal. President Perrone was right in stating that the battle was far from over. On Wednesday, May 13th, Senate leaders found a way to get around the roadblock put up by opponents of the bill. Beginning today, individual provisions of the TPP will be put to a vote on the Senate floor first, followed then by the large scale fast-track agenda. For a better idea of why this trade agreement is harmful to our economy, check out this fact sheet. We need to continue to make our voices heard over this disastrous piece of legislation. 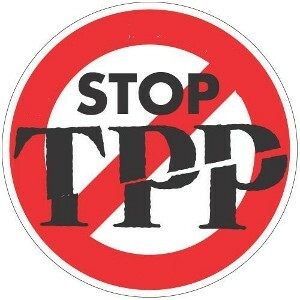 Reach out to your elected officials, and make it clear that you will not tolerate the passage of the Trans Pacific Partnership, and that a vote in favor of the bill is a vote against working families.